Clare Sollars, daughter of Jeff and Bridget Sollars and a member of Charm ‘N Farm, was awarded the clock trophy for her nutrition project “Beyond the Grill” at the state fair on Aug. 2. 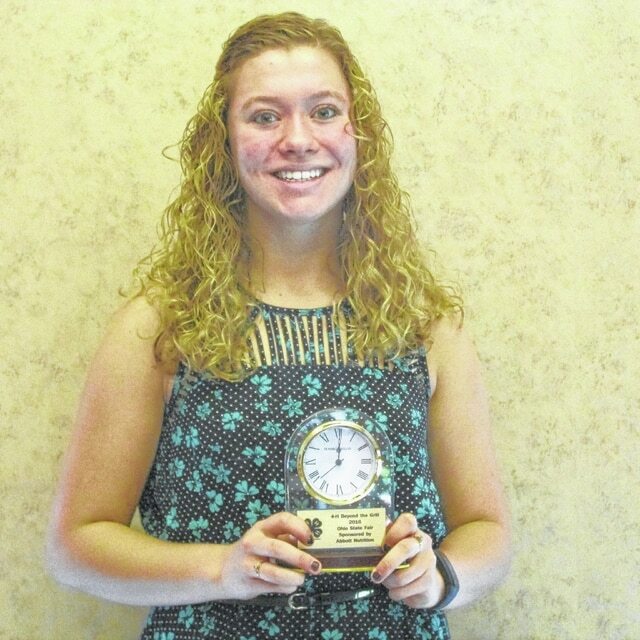 Winning a nutrition clock trophy has been a goal of Sollars’ since she started competing at the age of 9. The elusive trophy is only awarded to one individual competing at the state fair in each 4-H project. The competition included a portfolio review and interview as well as a test on nutrition and culinary knowledge. Sollars thanks Pat Brinkman and Nadine Fogt for their support, and gave a special thanks to the members and advisors of Charm ‘N Farm 4-H Club.